Orion's Sword - This wide-field shot of the Orion Nebula shows the nebula amongst the surrounding field of stars. This region of the sky is known as the Orion Sword Region, because of its location with respect to the larger constellation of Orion. To find the sword, look below the three bright stars of Orion's belt. 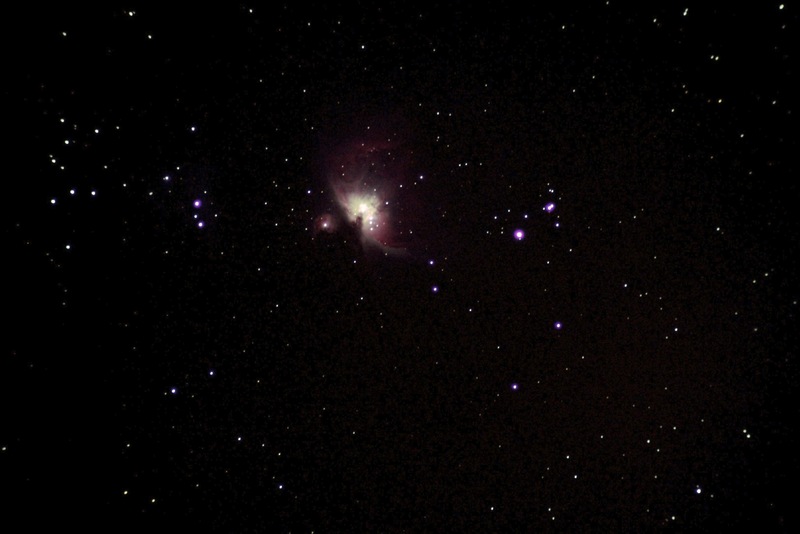 In dark enough skies, you can actually see the Orion Nebula as a small grayish patch of light.